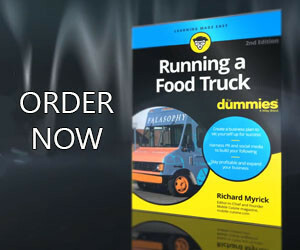 Since the mobile food industry exploded in 2008 many food truck owners have looked for ways to go green, many have chosen a systems type approach that reduces the amount of waste that comes out of their trucks and turns up in landfills. Today’s article will touch on the topic of tracking food waste. Although composting and recycling programs are great for the planet, some mobile food vendors have found that controlling the amount of food that becomes waste in the first place can be more cost-efficient. 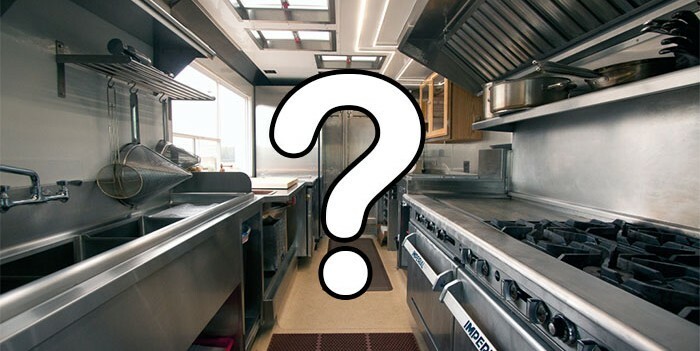 So what is the best strategy in managing food waste in your food truck? Reducing, preventing and minimizing food waste at the source. But what is the source of the waste? Pinpointing the areas that waste is produced the most is best done through food waste tracking. Without tracking, it is difficult to diagnose problem areas or measure your truck’s improvement. Tracking food waste is easy to point to the main sources of waste and determine the best avenue to correct them. The bottom-line is tracking food waste is a must-do if you want to reduce the amount of waste coming from your mobile food business. There are two types of food waste. Pre-Customer food waste is food that your food truck staff throws away due to overproduction, trimming, or handling issues. Post-Customer food waste is food that customers leave on their plates and throw away. Food truck vendors have more ability to control pre-customer food waste because they control what happens in their kitchens. Pre-Customer food waste should be tracked every day. Every item thrown away by your employees should be recorded in a tracking logbook. Track pre-customer food waste at the time of disposal. Record the waste in the logbook immediately after placing it in the trash. If you have set up an agreement with a local food bank where your excess food can be donated, record these donations in your waste logbook immediately after dropping it off. Record the type of food and the reason why it is being wasted in the logbook. These are the two most important pieces of information that will reveal opportunities for change. Record how much of each menu item is being wasted. Owners or truck managers should review yesterday’s waste logbook at the beginning of the following day’s shift. The top 5 waste items should be discussed with the team at pre-shift meetings. Ask the team for ideas to reduce the waste. Review progress on the Top 5 items every week until the amounts drop. If you have time, keep an Excel spreadsheet with your daily waste totals so you can track your progress. Because many food truck customers take their order with them and may not use your food truck’s waste container, this tracking is not going to be exact, but at the same time, it will give you an idea of the amount of food that is being wasted. Post-Customer Food Waste should be tracked periodically, usually once per month. Use your waste logbook just as you do with pre-customer food waste. Post-Customer food waste includes many different foods as well as the food containers and utensils, it will not be possible to track specific amounts of foods or loss reasons unless you separate your trash. Instead, track the number of trash bags used per shift. If you only use one trash bag, throw it on a scale and weigh them. Keep a record of total weight or count of post-customer food waste in an Excel sheet. When tracking post-customer waste, always do it on a busy day and track future measurements on the same day of the week. Using this approach, you will have comparable data. Make sure to look at the food in the garbage and note any trends. There may be items that customers do not like which should be removed from the menu. In other cases, you may find portions need to be adjusted to avoid waste. The reduction of food waste through production processes, as well as through overproduction protocols, reduces the amount of food that ends up in local landfills while also protecting the environment. Wasting less food, in turn, allows you to purchase less, saving your food truck valuable financial resources and better serving the needs of your customers.